NO. 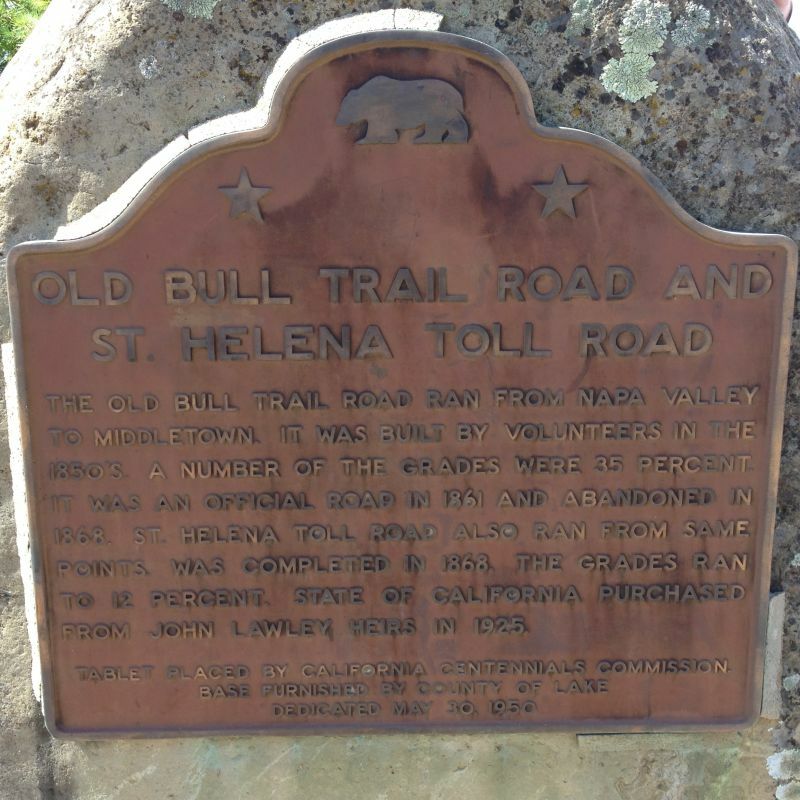 467 ST. HELENA TOLL ROAD AND BULL TRAIL - The old bull trail from Napa Valley to Middletown was built by volunteers in the 1850s. A number of its grades were 35 percent. An official road in 1861, it was abandoned in 1868. 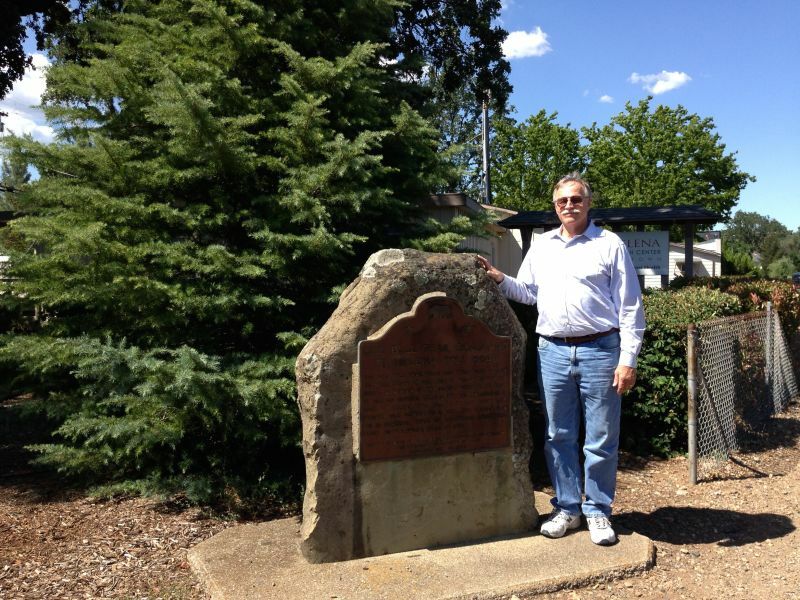 The St. Helena Toll Road, completed in 1868, ran between the same points with grades of 12 percent.